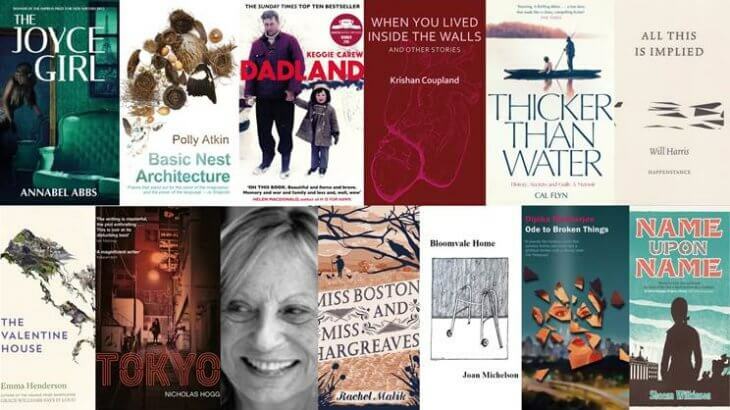 Gladstone’s Library has today revealed the names of the 13 writers shortlisted for its prestigious Writers in Residence award for 2018, and we’re delighted to see that our own Sheena Wilkinson has made the list based on her 2015 novel, Name upon Name. Now into its seventh year, Gladstone’s Library’s successful Writers in Residence programme was established in association with Damian Barr (saloniere and author of Maggie and Me) to explore and define liberal values in the twenty-first century. The shortlist is made up of novels, poetry and creative non-fiction that, in the eyes of the panel of judges of authors, industry experts and members of the Gladstone’s Library team, represent some of the most creative contemporary writing. Four of these authors will be awarded a month’s residency at Gladstone’s Library, a creative community that is open to the public and based in the world’s only residential library. Previous winners have included Rowan Hisayo Buchanan (Harmless Like You), Amy Liptrot (The Outrun), Jessie Burton (The Miniaturist), Wendy Cope (Making Cocoa for Kingsley Amis), Salley Vickers (Miss Garnet’s Angel), Peter Moore (The Weather Experiment), Melissa Harrison (Rain) and Sarah Perry (The Essex Serpent). This year’s judging panel consists of Senior Strategy Director at FutureBrand and Trustee of Gladstone’s Library, Freddie Baveystock; poet Rebecca Farmer (‘Not Really’); author Natasha Pulley (The Watchmaker of Filigree Street); Jenny Hewson (Rogers, Coleridge and White literary agency); Peter Francis, Warden of Gladstone’s Library and Director of Collections and Research at Gladstone’s Library, Louisa Yates. Judging takes place on Monday, 14th August and the programme will be launched on Monday, 9th October at the National Liberal Club in London when the four winning authors will read from their work. Award Gladstone, prize, Sheena Wilkinson. permalink.